One of the many perks of living in Asheville is the city’s access to the French Broad River. The third-oldest river on Earth, the French Broad slices through the center of Asheville, offering plenty of opportunity for fun on, and along, the famed waterway – including an abundance of riverfront dining and drink venues. Visit one of these spots to take in some tastiness as you absorb the relaxing riverside atmosphere. 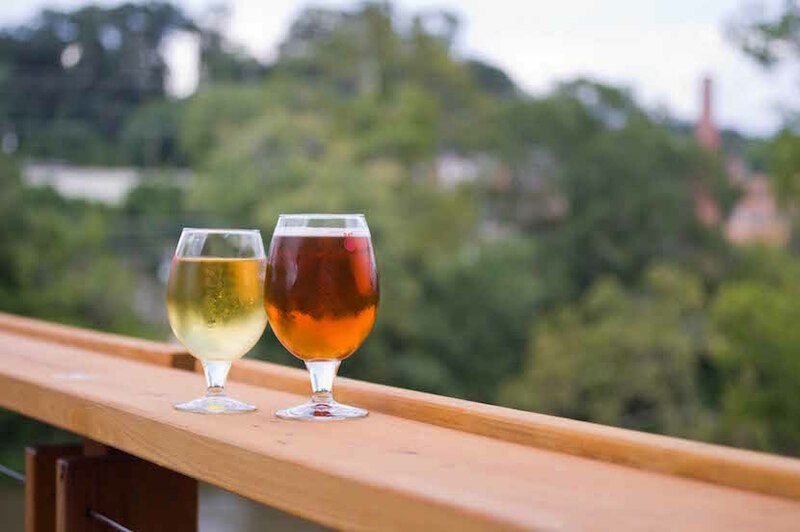 Zillicoah, located in Woodfin on the eastern bank of the French Broad River, specializes in open-fermented farmhouse ales and lagers. The brewery’s open-air tasting room rotates up to 12 taps, including in-house beers and guest taps. 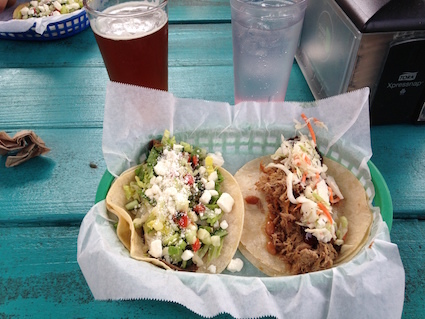 Zillicoah’s partnership with Taqueria Muñoz means you can savor tacos, tortas and tamales along with the river views. 870 Riverside Drive. This restaurant’s flagship recently moved a block from its original location to the east bank of the French Broad River, with ample parking, indoor and outdoor seating, and pet-friendly waterfront access. Enjoy such fare as Banh Mi tofu, Thai peanut chicken, or mushroom, potato and romesco sauce tacos, as well as sides like green chile black beans and watermelon with mint. 388 Riverside Drive. This riverfront bar, restaurant, concert hall, and special events venue features a relaxed outdoor setting in the River Arts District along the French Broad River. The largest shipping container restaurant in the U.S., Smoky Park Supper Club is situated on the French Broad River on close to 2 acres of land in the River Arts District. The restaurant features seasonal, wood-fired farm-to-table fare, craft beer, cocktails and live music. Arrive by bike, boat or car for riverside dining outdoors on the lawn or deck, or inside the creatively constructed eatery. 350 Riverside Drive. Nestled along the French Broad River, New Belgium features a 5,100-square-foot tasting room, as well as a massive outdoor space comprising a large lawn perfect for picnic and play, a fire pit, plenty of picnic benches and high-top seating on a large deck, and Adirondack chairs facing the river with a view of the River Arts District and Chicken Hill neighborhood. A rotating roster of food trucks, live outdoor music in warmer weather, and the array of beers New Belgium is famed for mean you can make a day of it with family and friends. Extremely kid- and dog-friendly (although dogs are not allowed inside the tasting room), New Belgium is also an ideal stop after a bike ride along the greenway. 21 Craven Street. Enjoy locally sourced and updated American cuisine across from the French Broad River Greenway in West Asheville, near Carrier Park. Favorites include such dishes as buttermilk fried chicken and catfish po’boys, as well as sides like sautéed sesame greens and grit cakes. Dine at outdoor picnic tables behind the restaurant, or get your food to go and amble across the street to the park for a riverside picnic. 219 Amboy Road. Asheville Parks and Recreation maintains a beautiful system of greenways throughout the city, with miles more planned for completion in the next few years. This means that even if you don’t currently have a greenway near your Asheville home, you likely will soon. From paths that incorporate edible gardens, to trails dotted with playgrounds and dog parks, Asheville offers a multitude of options for immersing yourself in nature without having to stray far from your neighborhood. Glenn’s Creek Greenway – This paved greenway extends westward from Weaver Park on Merrimon Avenue to Riverside Drive along the French Broad River. Glenn’s Creek connects the Norwood, Montford and University neighborhoods via mostly wooded settings. The trail is on-road in portions but there are also off-road trails through Weaver Park and UNCA. Reed Creek Greenway links into this greenway corridor. Reed Creek Greenway – This path begins at the Botanical Gardens on W.T. Weaver Boulevard, and runs parallel to Broadway Avenue along a creek, offering a slightly urban feel. Swannanoa River Greenway – This greenway, situated next to Walmart, travels the banks of the Swannanoa River in East Asheville inside River Bend Park. It is accessible from the shopping center parking lot. 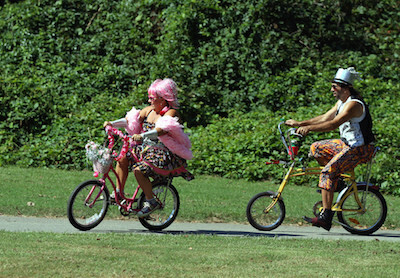 French Broad River Greenway – This 2.8-mile bicycle and pedestrian trail in West Asheville connects Carrier Park to Hominy Creek Park, French Broad River Park, and RiverLink’s future Karen Cragnolin Park as it winds along the river, Amboy Road and Riverview Drive. 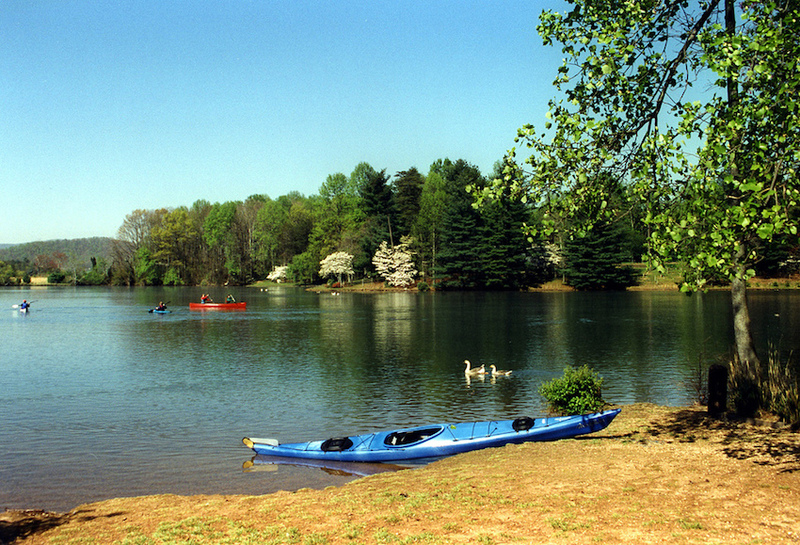 French Broad River Park features a vast area of open green space with old trees, a wildflower garden, gazebo, picnic tables and grills, a dog park, an observation deck and a small playground. Carrier Park is one of Asheville's premier parks, built at a former racetrack that now serves as a velodrome for cycling. The infield has volleyball courts, playground, roller-hockey rink and basketball court. The greenway also runs past a lawn bowling court, multi-use sports field for baseball and soccer, picnic pavilion, river overlooks and wetland interpretive trails. 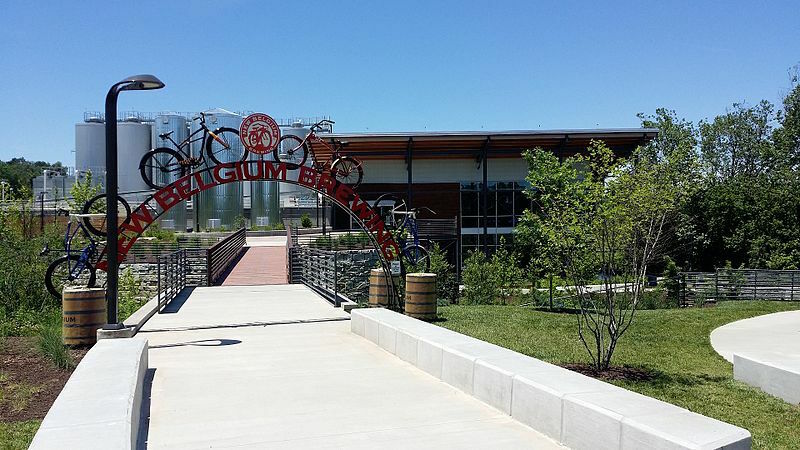 There are plans to close the gap between the half-mile section of greenway on New Belgium Brewing Company’s property at Craven Street and the French Broad River Park (near the dog park). Once completed, it will extend just over 1 mile. Dubbed “The Edible Mile,” this greenway will feature information on the indigenous edible plants in the area and feature volunteer-led edible gardens. Construction is slated to begin this spring. Town Branch Greenway – This .75-mile-long greenway will start at the Grant Southside Center on Depot Street and Livingston Street near the River Arts District and end at Phifer Street near the McDowell and Southside intersection. An important East/West connection in the greenway network, the trail runs on flat terrain along the banks of Town Branch creek. It will feature a series of interpretive signs educating visitors about the detrimental impact the razing of the Southside Community had on its historically African-American community. Construction will begin Spring 2021. River to Ridge Greenway and Trail Network – This will be a connection of continuous greenways that encircle the downtown area with the River Arts District and French Broad River greenways, the South Slope Greenway Connector, Beaucatcher Greenway and the Urban Trail. Once completed, the network will have 10.25 miles of connected greenways and trails. RADTIP– This project will feature a new greenway, as well as enhance the River Arts District with a safer roads, flood mitigation measures, sidewalks, separated bike lanes, public art and new gardens. The French Broad River East Bank corridor will have a 2.2-mile long section that will be completed in this construction project. The section will begin at Hill St. and Riverside Drive and end at the Amboy Road Bridge. 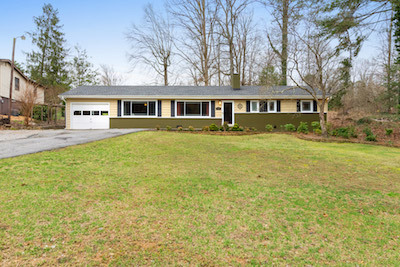 For more information on real estate near greenways, or anywhere in the Asheville area, please contact Mike Figura at Mike@MyMosaicRealty.com or call him anytime at (828) 337-8190. Living in Arden means enjoying all the peaceful, natural beauty Western North Carolina has to offer – along with close proximity to commercial corridors that provide the ultimate in daily conveniences. From established neighborhoods with rambling ranches to newer communities filled with spacious homes, Arden boasts a variety of real estate choices. An unincorporated community situated in southern Buncombe County between Skyland and Fletcher, Arden is just 15 minutes south of downtown Asheville and 15 minutes north of Hendersonville. The communities of Mills River and Biltmore Forest are also nearby. Arden’s close proximity to the Asheville Regional Airport makes it easy to catch a flight. The nearby commercial corridor of Hendersonville Road boasts a plethora of restaurants, as well as grocery and department stores. Schools in Arden are a major draw to the area. Part of the Buncombe County School system, Glen Arden Elementary School has been designated a School of Excellence many times over. Valley Springs Middle, Avery’s Creek Elementary, Koontz Intermediate and TC Roberson High Schools also serve the Arden community. · Ashley Woods – This area is populated with newer homes, many of which boast stellar mountain views. · Oak Forest – Older mid-sized ranch homes that are competitively priced dot this well-established community. · Brookwood – Just far enough from the hustle of Arden’s commercial district, Brookwood offers older ranch homes in a peaceful setting. · The Cliffs at Walnut Cove – This private, gated community sports luxury homes alongside an award-winning golf course, wellness center with pools, and clubhouse. · Royal Pines – This neighborhood offers charming ranches on generously sized lots. 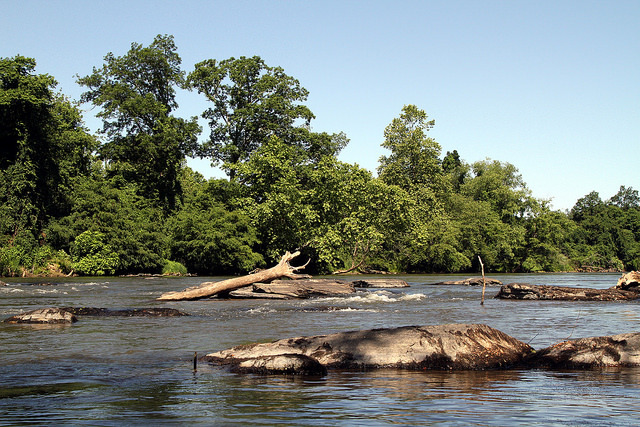 To the east of Arden flows the French Broad River, replete with kayaking, canoeing and tubing opportunities. A short drive away is Bent Creek Experimental Forest, a hiker’s and mountain biker’s paradise, with miles and miles of trails on which to spend the day. Also nearby is the North Carolina Arboretum, which offers 65 acres of cultivated gardens, 10 miles of trails, and year-round exhibits to enthrall the entire family. A mere 30-minute drive away is Pisgah Forest, perfect for a daytrip getaway to spots like Looking Glass falls, Sliding Rock and the Cradle of Forestry. A popular place to spend the afternoon outdoors in Arden is Lake Julian Park, a county park with a volleyball court, horseshoe pits, disc-golf course, rental boats and picnic shelters. For a break from the day, or an informative look behind the scenes of a state-of-the-art brewery, Arden residents can zip on over to the sprawling Sierra Nevada Brewing Co. in nearby Mills River. The brewery’s taproom and restaurant offer a full menu and more than 20 beers on tap, many produced just a few feet from the eatery. For a personally guided tour of the Arden, or for more information on real estate here or anywhere in Asheville, please contact Mike Figura at Mike@MyMosaicRealty.com or call him anytime at (828) 337-8190. The charming town of Black Mountain, nestled 15 miles east of Asheville in the Blue Ridge Mountains, is an arts and crafts, furniture and music mecca, boasting year-round appeal for full-time residents and second-home owners alike. Formerly home to the renowned Black Mountain College, Black Mountain offers an array of restaurants, specialty shops and breweries, as well as enviable access to lakes, waterfalls and hiking trails. Dubbed “The Little Town That Rocks” thanks to the rocking chairs that line its picturesque streets, Black Mountain (population 7,500) was recently voted "Best Small Town in Western North Carolina," and it’s easy to see why. Black Mountain offers walkability with a central town square filled with a range of businesses. Gift shops, galleries, bed & breakfasts and antique stores populate the area. For the outdoors and nature enthusiast, Black Mountain can’t be beat: walking, hiking, biking trails, greenways, camping, trout fishing, lakes and waterfalls dot the town and surrounding areas.Hiking options offer a challenge for any skill level, from short and easy (Lookout Point) to more strenuous (Seven Sisters mountain range). Lake Tomahawk is close to the town center and offers a gravel walking path, playground and public community pool. Black Mountain also has its own popular 18-hole municipal golf course surrounded by enticing neighborhoods close to the town center. Nearby Montreat offers hiking trails, Fourth of July festivities, athletic events, and concerts at the college. 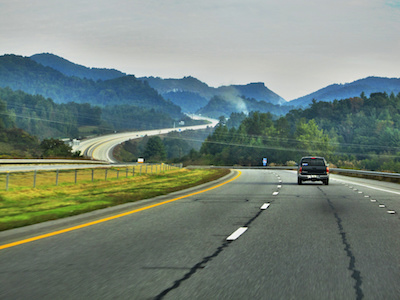 If you're looking to spread out further, Highway 9 offers miles and miles of mountain privacy stretching to Lake Lure and Gerton. Numerous neighborhoods are tucked away off of Highway 9, including several gated communities ideal for a second-home getaway. The Straightaway Cafe is its own hidden gem for Highway 9 residents and passersby alike, offering family-friendly music five nights a week. Homes in Black Mountain are as varied as the town itself. From rambling ranches close to the town center, to expansive homesteads surrounded by peaceful acres of evergreens, to compact modern builds with mountain vistas perfect for a vacation home – Black Mountain offers buyers a range of properties as close to, or as far from, commercial hubs as they want to be. 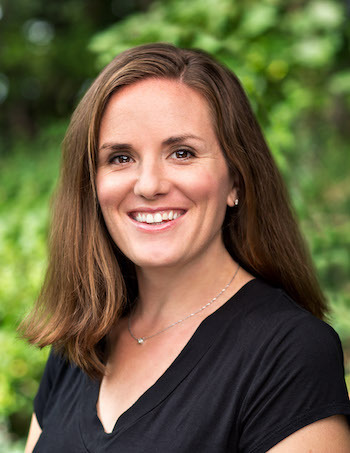 For more information about real estate in Black Mountain, please contact Mosaic Community Lifestyle Realty agent Megan Shook at Megan@MyMosaicRealty.com, or call her anytime at 828-450-6797. After winter’s chilly rains, ice and snow, you’re probably more than ready for spring to arrive. But is your home? 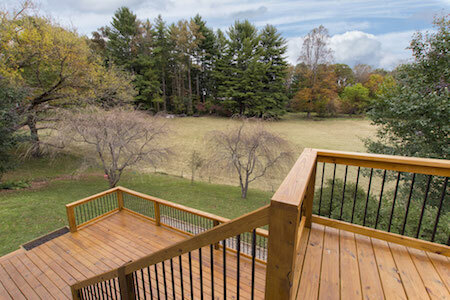 Gearing up for the coming spring in Asheville requires some simple yet important home maintenance steps; by performing these tasks, you can ensure that your property’s seasonal transition will be smooth sailing. 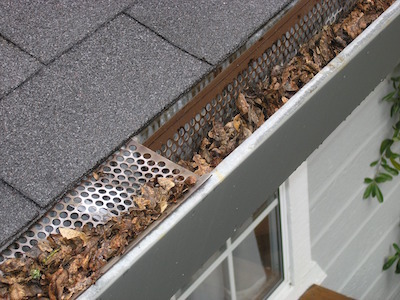 Removing all of the leaves and other debris that have accumulated in your gutters and downspouts over the winter months is an important early step. Doing so helps to prevent damage from spring rains, protects wood trim from rot, and diverts rain properly so water doesn’t collect around your foundation. 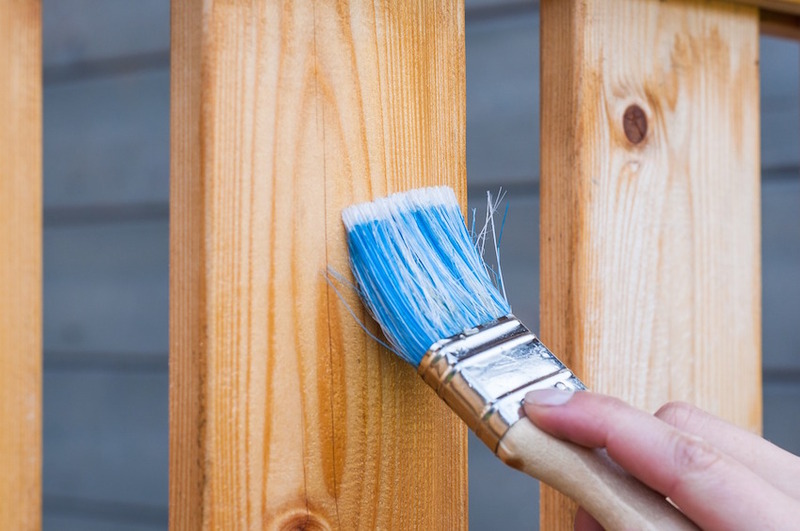 Decks, fences, railings and other outdoor woodwork benefit from a stain and seal every year or so, especially ahead of the heavier use warm weather will bring. Doing so will ensure that the woodwork lasts longer and stays in better condition. The freezing and thawing that comes with wintry weather can take a toll on the concrete and other hardscaping materials on your property. Closely examine walkways, paths, roofs and driveways for cracks, holes and other damage, and patch before the problem grows too large. Extremely damaged concrete may need to be replaced completely. Spring is the ideal time to check irrigations systems; doing so can save water and money. Make sure heads haven’t been damaged, and adjust any that are errantly spraying. If you use a rain barrel to collect rain for watering your yard, it’s important to clear out sediment and organic debris that accumulate at the bottom of the barrel, and set it up properly in preparation for Asheville’s spring showers. The warmer temperatures and increase in humidity mean a more hospitable environment for mosquitoes. Don’t let them set up shop in your yard: The key is getting rid of standing water around your property (and for neighbors to do the same!). Look for places where water stands, and remedy or maintain those spots. Spring is the time to schedule air-conditioning service. Doing so will not only ensure the most efficient use of the system, but will extend its life. Make sure to clean or replace HVAC filters. And if you have ceiling fans, don’t forget to give them a good wipe-down to eliminate the dust and particles that accumulate on top of the blades. Asheville’s last frost typically occurs in early to mid-April; ahead of that, pull up weeds, trim and clear dead twigs and brush, and plan out which plants you’d like to add to your yard. 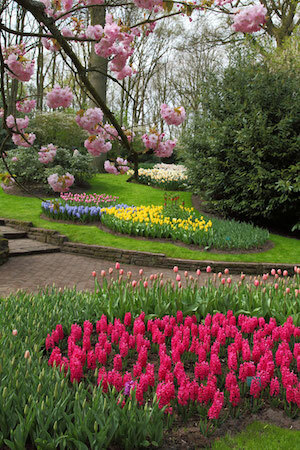 After the last frost, find flowering plants that thrive in early spring to bring brightness to your garden; seed any patchy lawn spots to take advantage of the moisture our April showers will bring; and mulch around trees and any perennials that have started popping up. Asheville’s eclectic art scene is as breathtaking as the Blue Ridge Mountains that surround this spirited city. Hundreds of artists practicing across a range of media call Western N.C. their home, selling their pieces in a multitude of galleries around the Asheville area. Whether you’re a casual shopper, waiting for a just-right piece to strike your fancy, or have a specific style of art in mind, there’s no shortage of gallery spaces replete with visually vibrant works to peruse. With so many options, it can be overwhelming to know where to start your search; following are a few ways to more easily and enjoyably experience the galleries dotting downtown, River Arts District, South Slope and other Asheville neighborhoods. Beginning in April and continuing through December, The Downtown Asheville Art District galleries celebrate the beginning of a new month (and the weekend) with First Friday Gallery Walks. The walks, held from 5-8 p.m., are a great way to explore downtown Asheville while visiting the more than 20 galleries that contribute to Asheville's reputation as a vibrant arts community. Within a half-mile radius of Pack Square and the city's center, you'll find unparalleled artistic creations, from fine studio crafts to glass, photography, folk art and contemporary painting, metalwork, textiles, jewelry and more by local, regional, national and international artists. You can find a complete listing of DAAD galleries, including a map with locations and contact information, in the Downtown Gallery Guide, available at each participating gallery, the Asheville Convention and Visitors Bureau, and Pack Place. 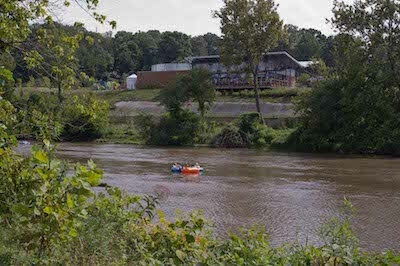 This once-industrial neighborhood nestled next to the French Broad River is now home to the working studios and galleries of hundreds of artists. From painting and pottery to jewelry, glass, metal and wood, the pieces created and sold in Asheville’s River Arts District are a reflection of the thriving artistic talent Asheville nurtures. Many visitors descend on RAD every Saturday, with most studios open to the public. On the Second Saturday of each month, visitors can ride a free trolley to each building, see demonstrations, enjoy refreshments and meet the artists. RAD’s annual Studio Stroll is held on the Second Saturday and Sunday of November, with studios often open longer hours. You can also visit studios in RAD during the rest of the week. 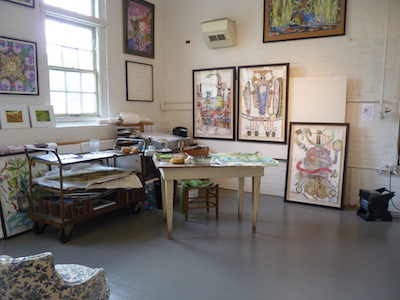 Many studios are open daily from 11 a.m.-5 p.m., and some from 10 a.m.-6 p.m. Artists work year-round, with some studios open earlier or later than the posted hours or days. These tours, developed and led by area artists, give visitors an inside look into the Asheville arts scene. The tours help visitors better explore and understand Asheville’s vast and diverse community of artists and studios. You can opt for the two-hour artist-led walking tour, which visits a variety of studios, some with multiple artists working out of them. 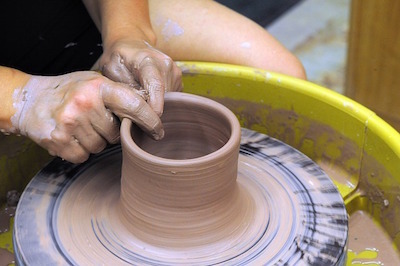 For the visitor who’s always wanted to try their hand at throwing pottery, or blowing and sculpting glass, the Experience tour allows you to be an artist for a day. VIP tours offer the full art and entertainment treatment, down to handling dinner details. For information about living in Asheville or about Asheville Real Estate, contact Mosaic Realty owner Mike Figura at Mike@MyMosaicRealty.com, or call him anytime at 828-337-8190. 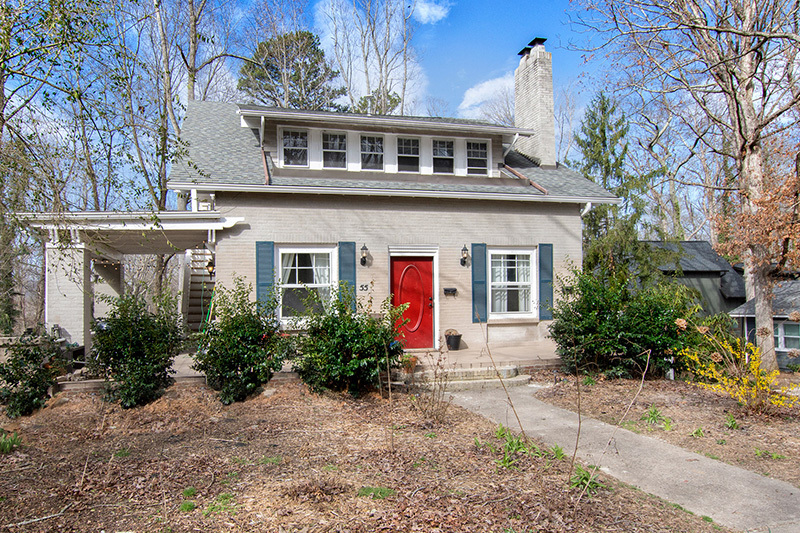 Spring’s warm weather invariably beckons buyers, making it a prime time to list your Asheville home. However, that same motivation also inspires other sellers to crowd the market. While it may seem overwhelming to stay ahead of the flurry, taking early steps to prepare for a sale will ensure less stress when your home hits the market. Here are some ways to get a leg up from the outset. This may seem like an obvious first step, but sellers are often unsure of how thoroughly they should pare down their presentation. Start with those stacks of books and papers, unnecessary items crowding your kitchen and bathroom counters, shelves piled high with knickknacks, clothes cluttering the closets, and the like. 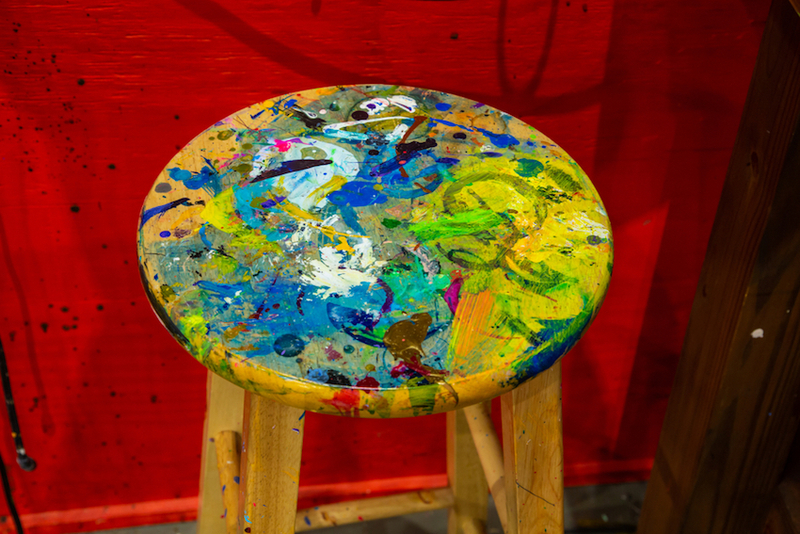 Art is fine, but put away family and personal photos – you want potential buyers to see themselves, not you, in the home. Streamline furnishings and keep hallways and paths free of any objects that can impede the flow of the home. Turn a critical eye to your home and you’re sure to uncover little flaws long overlooked. That unused curtain rod or those damaged blinds will most definitely distract, no matter how new the windows. 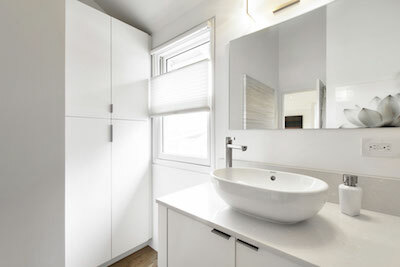 Mismatched, outdated door fixtures and cabinet handles are an easy early fix that will leave the buyer with the impression of a clean, attractive aesthetic. An inexpensive chandelier can help to define a dining room, doing double duty if the light fixture needs updating anyway. And don’t neglect simple improvements to your exterior: Cleaning gutters and replacing broken ones not only improves the appearance of your home, but can help to mitigate musty odors often associated with backed-up drainage. Small improvements can pay off in a big way. Landscaping is an economical way to improve a buyer’s first impressions. And during the spring, it’s easy to surround your home in the season’s glorious green and vibrant color to boost appeal. Adding sod, small bushes, or a focal point like a stone walkway can enhance your home immensely. If you don’t have the funds for a full exterior paint job, coat the front door in a fresh color that complements the exterior but provides just the right pop to make your home stand out. If spring has inspired you to sell, and you want an agent equipped to help you get the most out of the sale of your Asheville area home, please contact Mike Figura at Mike@MyMosaicRealty.com or call him anytime at (828) 337-8190. 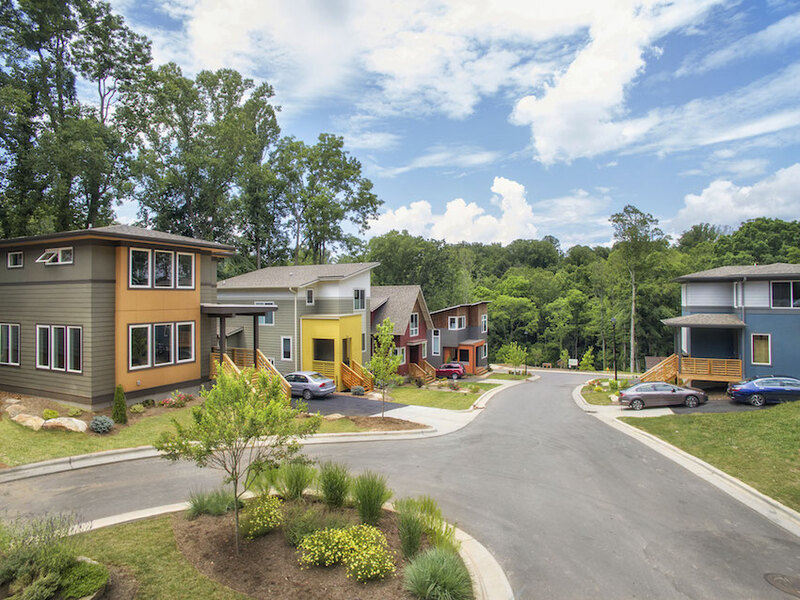 Craggy Park, located in the heart of eclectic West Asheville, N.C., is a sustainable urban community featuring 45 Energy Star homes nestled amid streamside trails, organic gardens and community gathering spaces in a park-like setting. 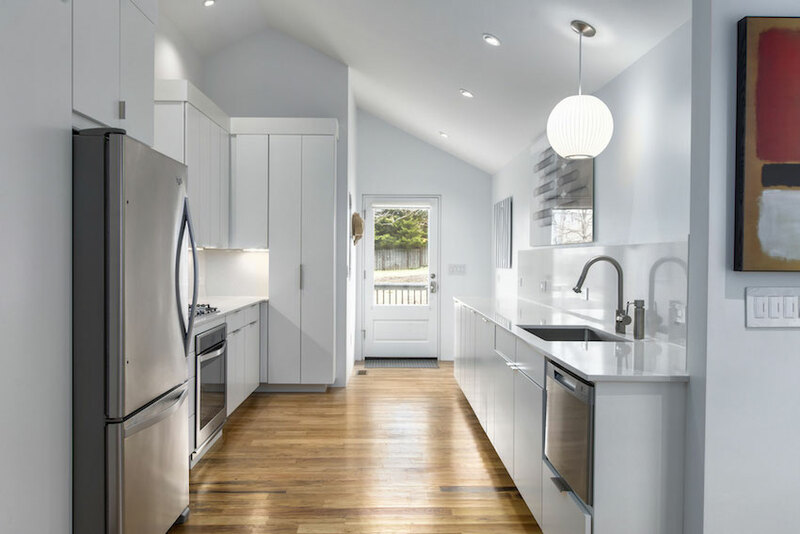 Closely connected to the vibrant Haywood Road business district by a greenway trail and a short stroll up Dunwell Avenue, Craggy Park features homes that blend modern with Arts and Crafts elements, crafted with a “smart and sustainable design” philosophy. The community park on Fox Creek and adjacent urban woodland conservation area make it easy to stay connected to nature in your very own backyard. Custom designed by W2 Architects and built by the craftsmen at JAG Construction, Craggy Park’s beautiful state-of-the-art green homes provide plans suited to every lifestyle. 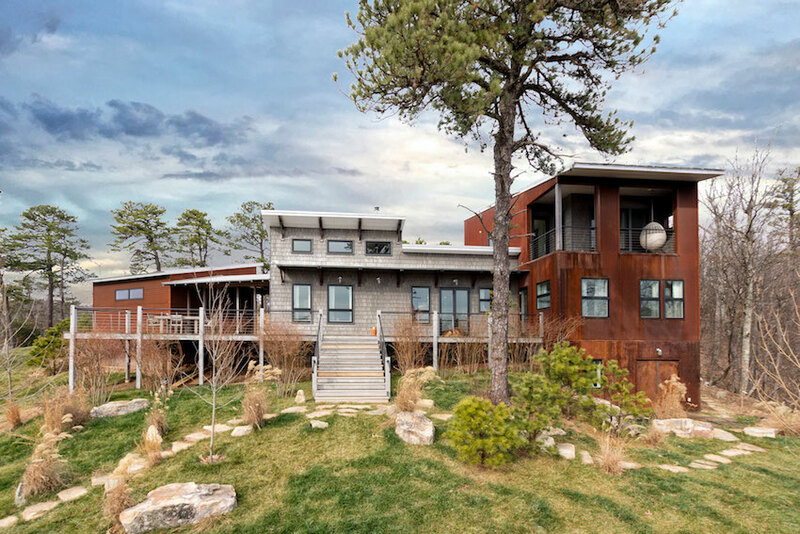 The homes – each certified by GreenBuilt North Carolina, a voluntary, statewide green building program – are designed for easy maintenance, leaving lots of free time to enjoy everything Asheville has to offer. Craggy Park’s design philosophy of clustering homes and providing ample common space allows for a relaxing outdoor-centric community. Our park includes a nature trail with benches, a lawn by the stream, two little free libraries, a tree house, an over-sized double swing, organic gardens, a fire pit, a picnic area with a community grill and herb spiral gardens. What Makes Craggy Park So Green? Craggy Park’s walkable and bikeable urban infill location optimizes use of existing infrastructure and minimizes the development’s environmental impact. A clustered-home site design preserves green space, existing trees, and nearby habitats, and native, drought-tolerant and edible landscaping provides a habitat for local flora and fauna. From re-use of bricks from a former on-site home, to milling of trees taken down during grading for lumber, the construction process also boasts minimal environmental impact. Preservation and re-use of topsoil during grading; construction waste management and recycling; and effective stormwater run-off controls throughout construction keep things green from the start. And then there are the homes: Energy Star and GreenBuilt-certified; a high-efficiency mechanical design; third-party blower door and duct-blaster tested homes; low and no-VOC materials and finishes for optimal indoor air quality; Energy Star appliances and lighting; day-lighting techniques for great natural light; low-flow plumbing fixtures; durable material use (30-year roof, 50-year siding); and 6" walls and formaldehyde-free insulation are just some of the many green features of each Craggy Park home. If the Craggy Park lifestyle appeals to you, mark your calendar for an exciting event March 9 and 10, from 1-5 p.m. That’s when six new homes will be unveiled as part of Craggy Park’s Spring Release. You can tour a completed home, as well as see homes under construction. Acting early means you can even select your finishes on some models. If using GPS, you can get to Craggy Park by entering Mauricet Lane, Asheville, NC 28806. From Haywood Road, head north on Louisiana Avenue and Craggy Park will be half a mile down Louisiana Avenue on the left. From Patton Avenue, head south on Louisiana Avenue and the Craggy Park entrance will be .2 mile on the right. There is a sign for Craggy Park, and the entrance road is labeled Mauricet Lane. For more information about Craggy Park, available homes, and home designs, visit www.craggypark.com, or contact broker Mike Figura at 828.337.8190 or at Mike@MyMosaicRealty.com. A boutique real estate agency born and built in the heart of Asheville, N.C., Mosaic Community Lifestyle Realty’s intimate size and deep local roots offer the ideal mix of knowledge and personalized service that consistently places us among the top firms for sales per agent in the area. Part of Mosaic’s success as an Asheville agency is its ability to precisely pinpoint properties to match a range of parameters, digging deep to help you find the perfect fit. To that end, Mosaic offers an advanced search feature on its website. This feature works to your benefit by implementing focused criteria so you can see each and every property available – in exactly the style, size and location you want it. Following are a few ways Mosaic’s advanced feature expertly streamlines your home search in Asheville. Your property needs may go beyond a traditional home: Maybe you’re looking for land on which to build, a multifamily dwelling for investment, or even a bed and breakfast. Mosaic’s advanced search feature allows you to select specific property types and even subtypes, like pre-construction, residential auction or equity ownership. Most general search features allow buyers to plug in for the number of bedrooms and bathrooms, but Mosaic goes beyond this to allow you to set such varied parameters as minimum and maximum square footage, acreage and number of exterior spaces. Doing so allows for laser-focused finds, saving you time and energy in your Asheville home search. Maybe one of the smaller towns bordering Asheville has struck your fancy, or you have a particular street in or around the Asheville area that appeals to you: Mosaic’s advanced search feature allows you to take your search beyond city limits, to towns like Enka, Brevard, Flat Rock, Hendersonville, Waynesville and many others. Or you can type in a specific street name to see if any properties at that address have hit the market. If you’re looking for a mid-century stunner, or you see yourself in a modern mountain home, Mosaic can help narrow your search. Simply enter the “Year Built After” or “Year Built Before” to turn up properties that fit your preference. 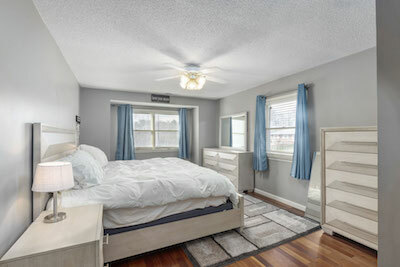 To see more ways you can refine your Asheville home search, visit https://mymosaicrealty.com/real-estate/search/. For more information on the homes your find, or for a personally guided tour of neighborhoods and available properties in Asheville, please contact Mike Figura at Mike@MyMosaicRealty.com or call him anytime at (828) 337-8190.